Thank You for visiting my website. My hope is that It will be a useful resource in your search for information on the local Real Estate Market. 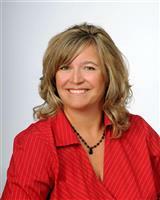 I am a full time, full service Realtor with over 20 years of experience. I love meeting and working with people to help them achieve their Real Estate goals and dreams. Whether you are a first time home buyer or a seasoned investor, I have the experience to help you. In my spare time I enjoy attending my kids activities, playing tennis and spending time with family. I also enjoy serving and being involved in my community through our church, St. Francisville United Methodist Church. In addition, I currently serve as the District 6 School Board Member in West Feliciana Parish. Buying or selling a home can sometimes be a complex process It is usually considered one of the biggest financial and emotional decisions you will make. Therefore, it is important to choose an agent you can trust. I can provide you with the experience and knowledge you need to make the right decisions when buying or selling.